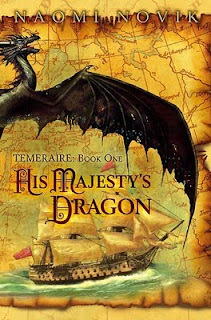 The first of the "Temeraire series,"the story starts at the Reliant who captures a dragon's egg from the French frigate. When the the egg hatches and the dragon bonds with Capt. Will Laurence, the story unfolds. Thrust in aviator warfare, Temeraire and Laurence work with several aviators to defeat Bonaparte's forces. Nobody can get away with re-writing history the way Naomi Novik did. Interesting twist to boring facts. with high quality English, amazing vocabulary, and inseparable friendships witnessed like never before, Naomi managed to fuse facts into a whole new magical world of her own.